June | 2010 | Renowrites blog! Interesting interview of Jeff Bezo’s take on publishing and Amazon Kindle’s future. 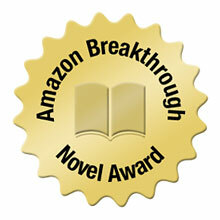 I’d like to congratulate all the finalist for The 2010 Amazon Breakthrough Novel! Whoop whoop! Although my manuscript didn’t get selected, it was awesome to be part of a great contest. The positive responses from fellow writers was amazing and look forward to seeing everyone’s manuscripts published one day! The feedback from this contest motivates me to keep writing.To see the list of finalists, click here! Now back to writing. I wish I didn’t procrastinate so much, but when my kids throw on Disney Channel, I find myself watching too! 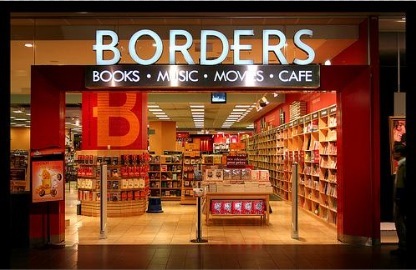 Borders - will this chain be around 5 years from now? One of my favorite Bay area bookstores is Books, Inc, a regional indie. The workers are knowledgeable for the most part and I love the witty book reviews they post below titles on the bookshelf. But I also don’t mind hanging out at Borders or Barnes & Nobles even if I can feel the non-local corporate feeling in the air whenever I walk in. There’s something comforting in knowing I can go anywhere in the country and there’s a bookstore I can go to that looks like the one at home. In today’s publishing climate, the argument over chains and indies continues. B&N has shuttered stores throughout 2009 and 2010. Today Borders announced layoffs. I also read an article about Stephenie Meyer’s latest release The Short Second Life of Bree Tanner that hasn’t sold well at indie bookstores. The article explores the possibility this title wasn’t written for the local bookstore crowd. And that had me thinking. Who is the local bookstore crowd? And why wouldn’t they like this title? I go to both chains and indies because in my warped mind, I see the benefits of both. But I guess there are people who choose one over the other? As I focus on polishing up my writing, the actual art of selling books sits in the back of my mind. Something tells me that chain bookstores will have to continue downsizing with digital book sales gaining marketshare. Hopefully, one of my novels will be caught in the timeless debate of David vs. Goliath!